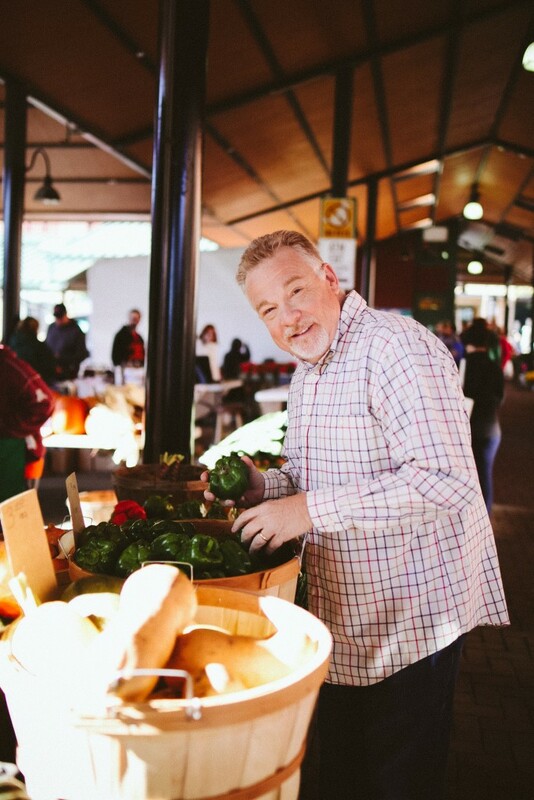 The start of spring is also the sign that a bountiful farmer’s market season is just around the corner! 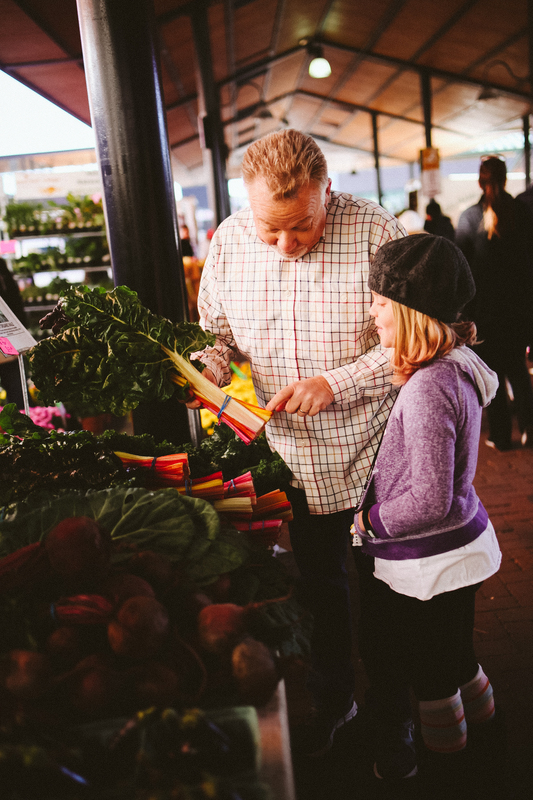 From Sacramento, to Davenport, to New York City, the local farmer’s market is the place to find surprise and adventure. Feeling the warm sun on my back and experiencing the thrill of the hunt to find the freshest, most flavorful produce and beautiful artisan handiwork makes this shopping trip seem like anything but a chore! My local farmer’s market gathers the most interesting people. I start my morning looking for the prideful displays of the local artisan bread maker, who uses only simple, all-natural ingredients as he bakes from recipes handed down for generations. Next, I find my favorite grower of heirloom tomatoes and fresh herbs to share appreciation for his newest fragrant locally grown harvest! The market evolves throughout the changing season. From the bright leafy greens of spring, to the sweet ripened melons of summer, to the grilled sweet corn-on-the-cob of fall, the farmer’s mall offers variety and guaranteed healthy deliciousness from week to week! 1. Cruise around the market before you buy. Don’t give up your entire grocery budget to the first vendor you visit. Instead, do a “lap” around the market to get a feel for what’s ripe, attractive, and available. Take note of what everything costs and find those foods that really interest you. Once you have the lay of the land, head back in to make your purchases. Don’t be afraid to buy just what you need. If you need just one onion, buying only one, rather than a whole bag, will help to stretch out your budget. 2. Talk to the farmer/craftsman as you shop. Take the initiative to ask the farmer about the spinach varieties she picked yesterday that are destined to become your dinner salad this evening! I am convinced that she wants to “tell all” about her produce with as much pride as a boasting grandpa (which I know a lot about!). The interaction makes shopping the market so much more fun. I get the veggies, I know where they came from, and I get to talk to the person who grew them. This truly defines farm to table and turns my moments into rich stories to share! 3. Seek the unique. I am always looking for unusual varieties, such as the Hubbard squash, the “red lemon” blood orange, or the purple heirloom tomatoes that are very difficult to find in your local grocery store. While rarity and uniqueness is a virtue, old-fashioned heirloom foods are prized, above all, for their flavor. These special varieties usually don’t travel or keep well – but they are worth the delicate handling they require. Keep your eyes open for these unusual handpicked varieties that will add flavor, color, and texture to your dish! Once you have your treasured farmer’s market “finds” back home in your kitchen, it is time to let your creative juices flow! Have you ever tried roasting asparagus, broccoli, or green beans? Try this recipe for my asparagus. My recipes are all about turning simple ordinary ingredients into something extraordinary! Find healthy lifestyle tips and many other great recipes at happydiabetic.com! Oven Roasted Asparagus of Love! 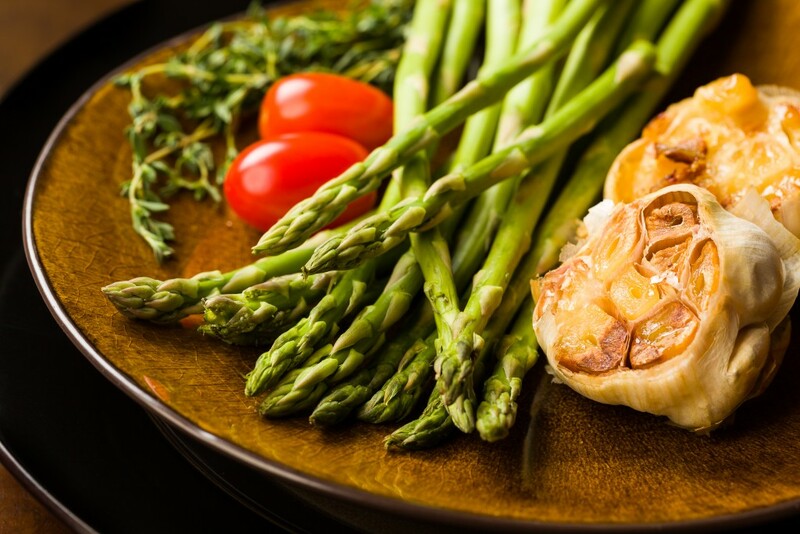 Roasted asparagus in the oven is one of the yummiest ways to prepare asparagus. Just coat stalks with a little olive oil, sprinkle with salt, pepper, and maybe a little minced garlic. Roast them until lightly browned and tender. 1. Wash the asparagus in cold water and trim away the lower 1 ½” of the stalk. 2. Toss the asparagus in a large bowl with ½ T of oil and ½ T chopped garlic. 3. Add kosher salt and freshly ground pepper to your tasting. 4. Roast at 425°F on a foil-covered baking sheet until the stalks are soft and the skin is crispy. Turn the stalks at 10 minutes of roasting time.